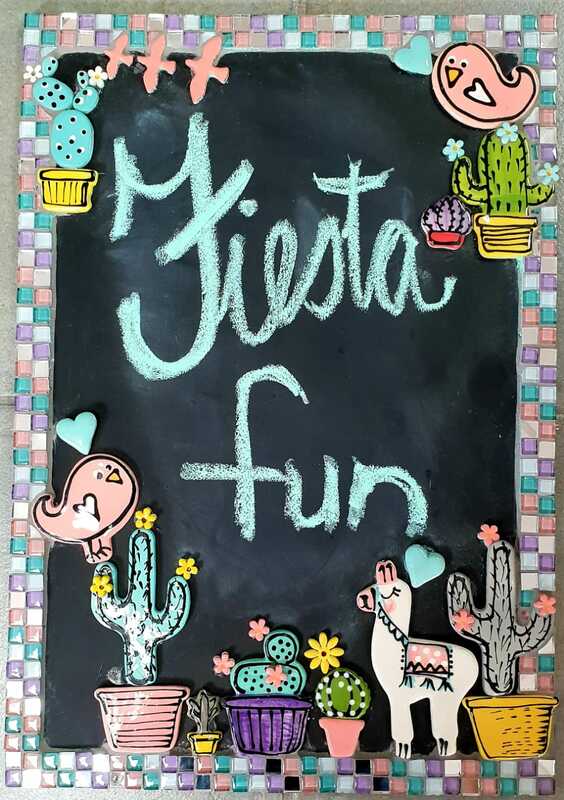 Lovely new inserts in a Fiesta Fun Theme. 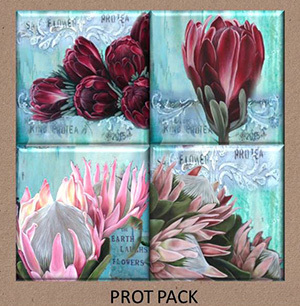 A wide selection of tiles with delicate protea and cactus images. 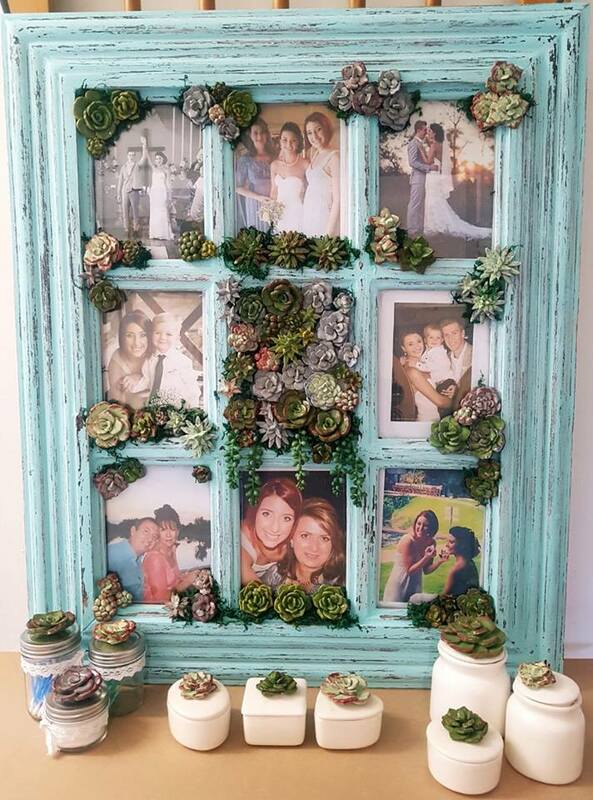 A creative idea to use our succulent inserts… add them to a photo frame to enhance those special memories. 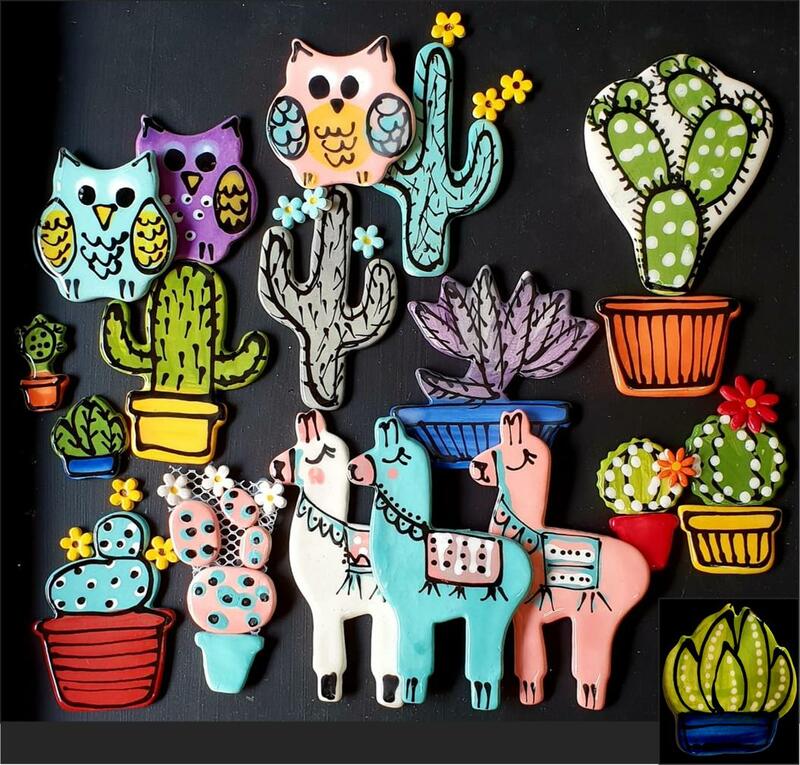 We also have succulent glass jars, ceramic jars and trinket boxes as special gifts. 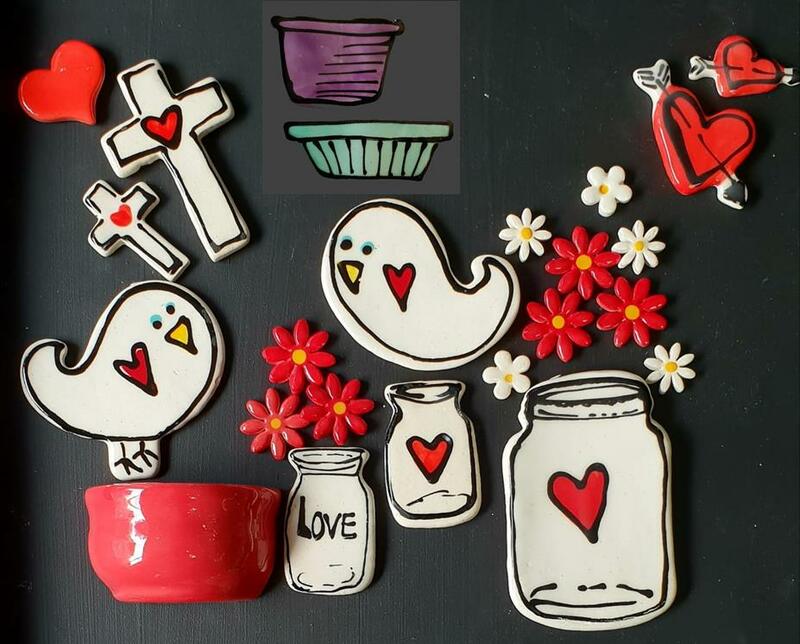 We are introducing a new range of Shabby Chic Tiles in our Shabby Chic theme. 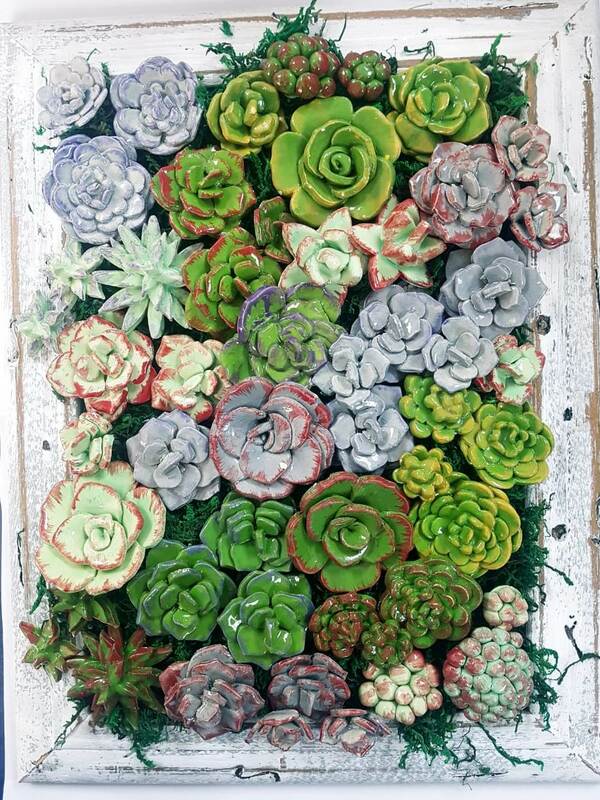 In our succulents range there are a variety of designs, sizes and colours. We also have a 3 small and a set of 3 different sizes. 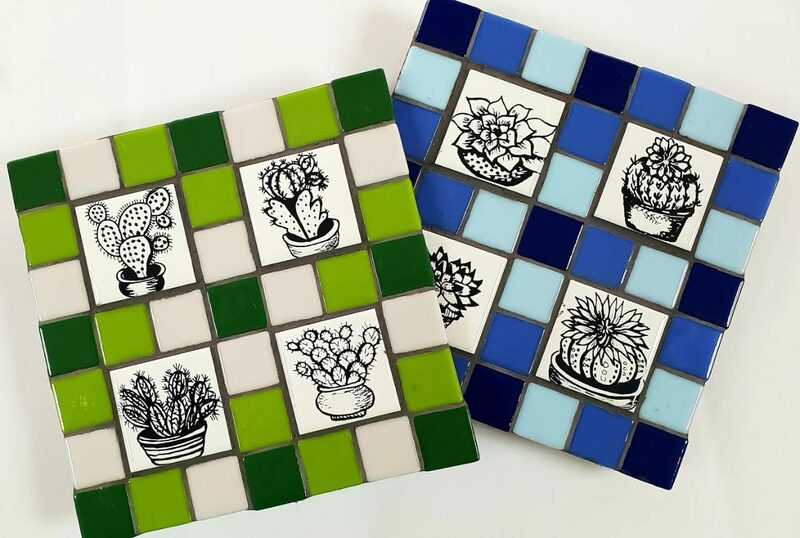 Design options: succulent A, succulent B, succulent C, succulent D, succulent E, succulent F.
Colour options: dark green with purple trim, red trim or yellow trim; soft green with purple trim, red trim or yellow trim and grey with purple trim, red trim or yellow trim. 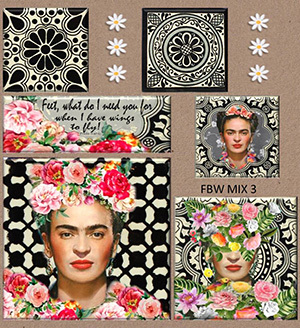 Frida Kahlo Black and White Shabby Chic Combo Card Large. Frida Kahlo Art Shabby Chic Combo Cards, Large. 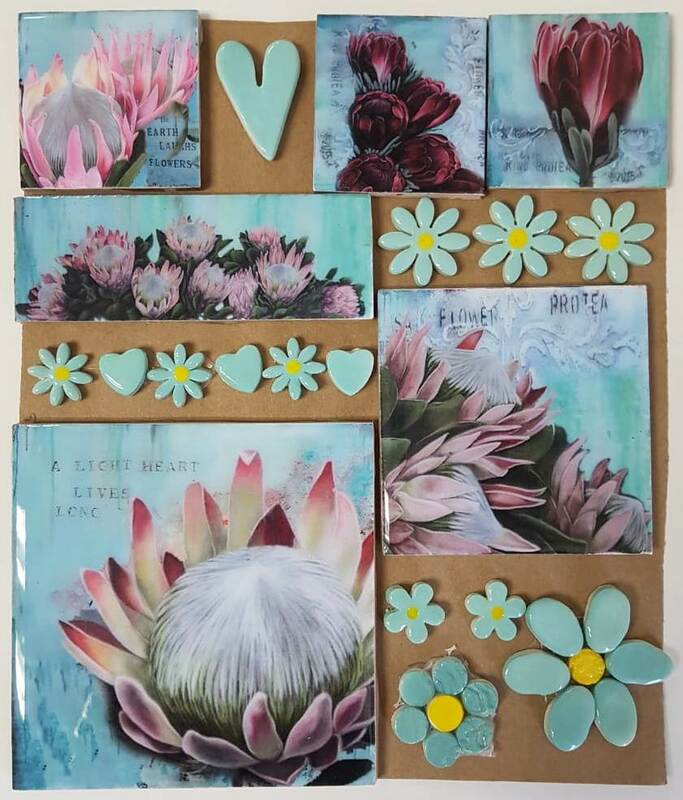 Aloe Shabby Chic Combo Pack, Large. 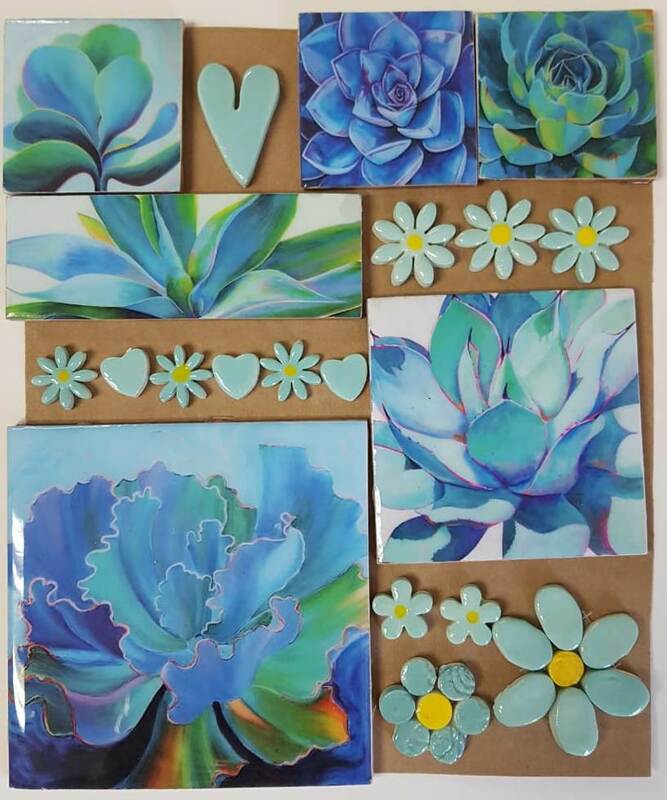 Blue Succulent Shabby Chic Combo Card Pack, Large. 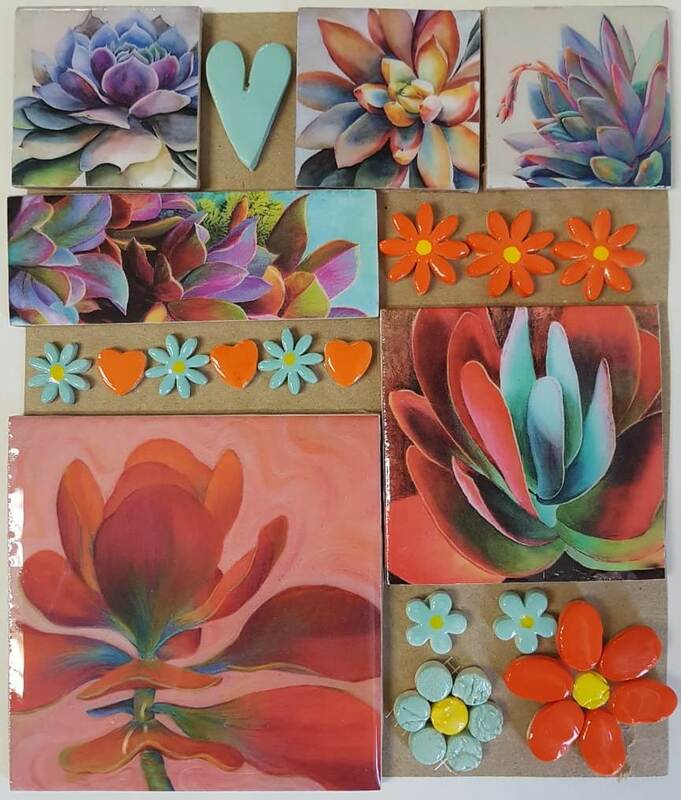 Orange Succulent Shabby Chic Combo Card Pack, Large. All Shabby Chic Combo Card Packs are available in Large, Medium and Small packs. 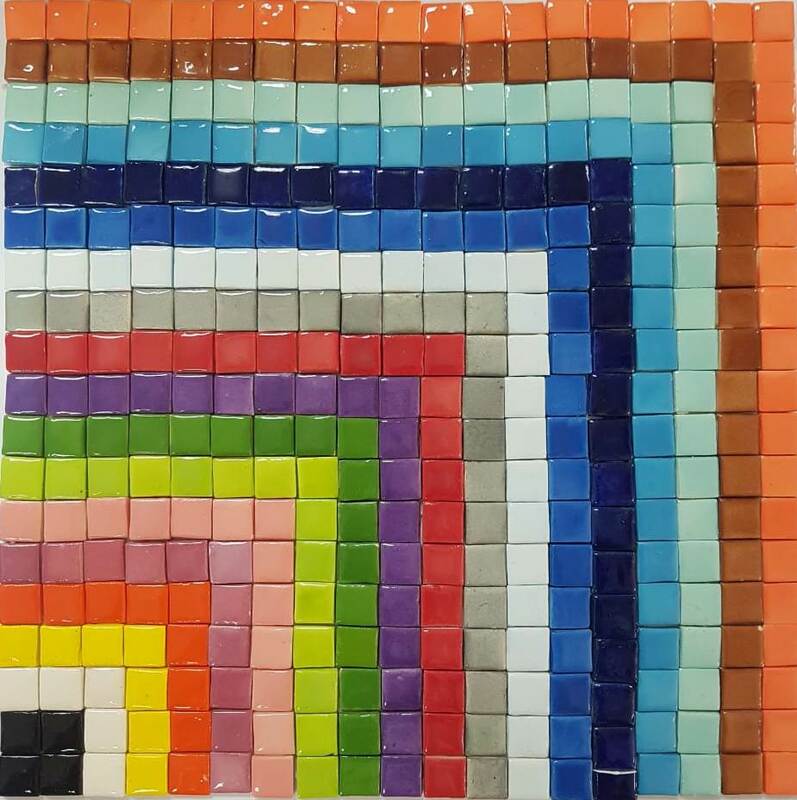 Handmade Tiles in a variety of colours. They are 12mm x 12mm and come in packs of 36. 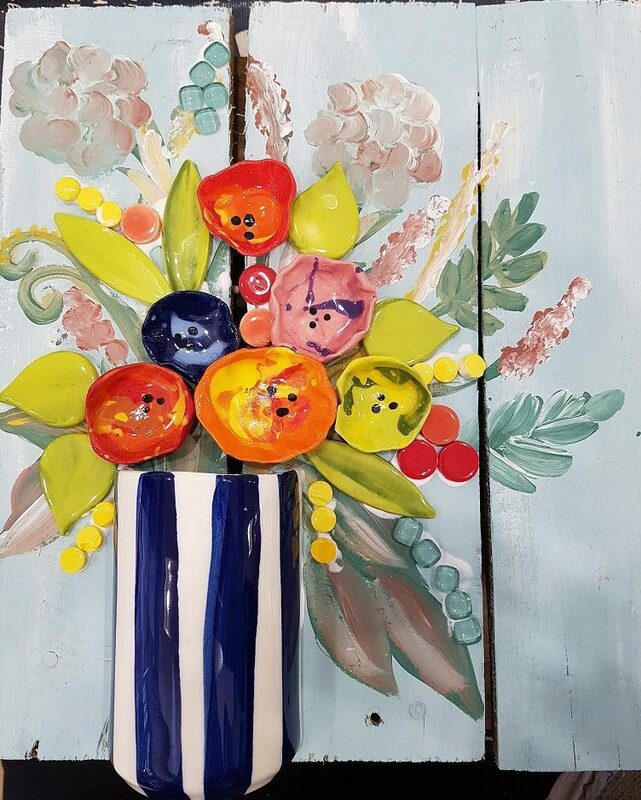 Available in the following colours: black, white, yellow, hot orange, rose pink, soft pink, lily green, olive green, purple, cherry red, light grey, baby blue, Mexican blue, delft blue, turquoise, duck egg, light brown and apricot. To Ursula and her Team What outstanding service, I got while visiting you. I don’t enjoy traveling out of my comfort zone, but now am only too happy to drag myself from Boksburg to your Fabulous Studio. Thank-you for going that extra mile and ordering all my Cat Tiles. Kind regards Audrey Kenny.